Travel digital marketing shows no sign of slowing down on its trajectory to being one of the most valued assets a tour operating business or agency has when it comes to showcasing their offering. If executed correctly, it can provide immersive and stunning insights into what time abroad can really be like for a customer. Of course, all companies will choose to do this differently, some will focus on evocative photography, others pen accounts of sweet abandon in paradise and some will implement both, alongside careful SEO and efficient CRM campaigns, all aligned under one unifying brand and what we like to call: really, really good travel digital marketing. Enter Dragon Trip. 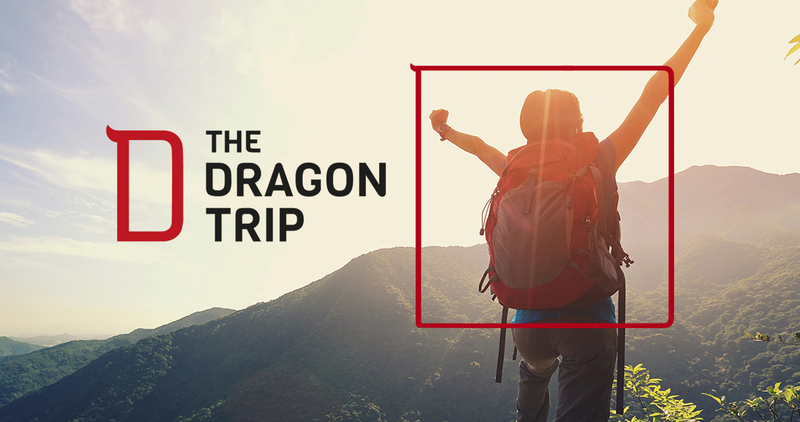 Dragon Trip offers an adventure to the Far East like no other, a hands-on experience fuelled by the desire to explore and discover. 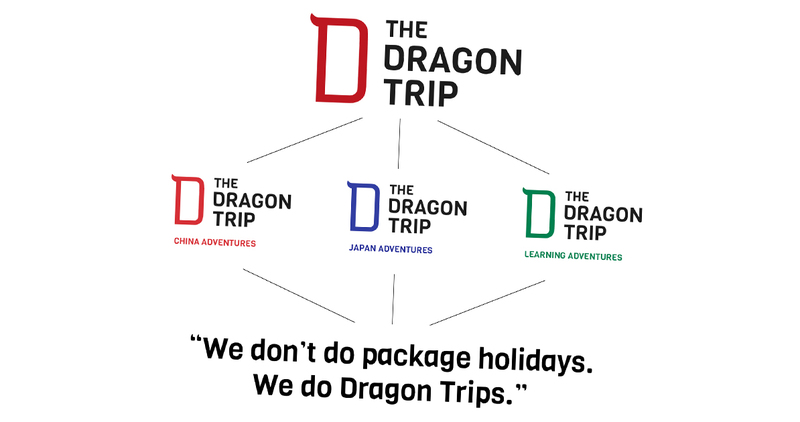 Our challenge was to rebrand their existing voice and visual aesthetic so as to better communicate this sense of authentic travel, and so, the strapline “No tourist traps, just Dragon Trips” was born. With this overarching statement in place, the reinvigorated brand started to take form. 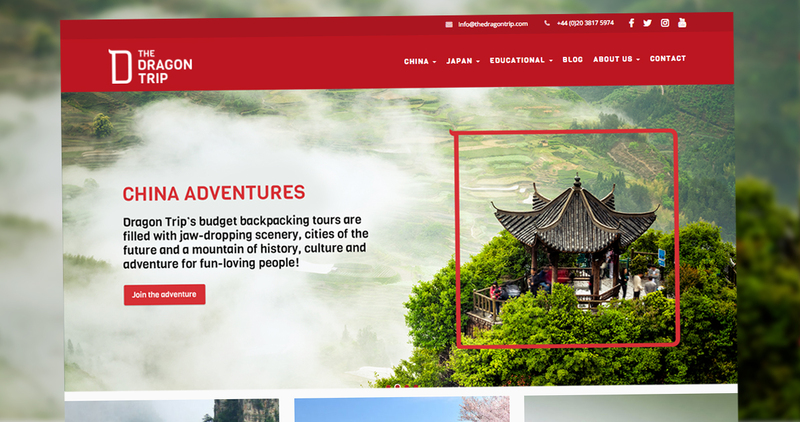 The Island created three sub-brands, China Adventures, Japan Adventures and Learning Tours, each with their own visual identity and deconstructed into their separate offerings in order to maximise the simplicity of user experience. These sub-brands are all recognisably distinct from one another thanks to their individual colour schemes, but share the same emotive voice designed to resonate with audiences seeking adventure and cultural discovery. 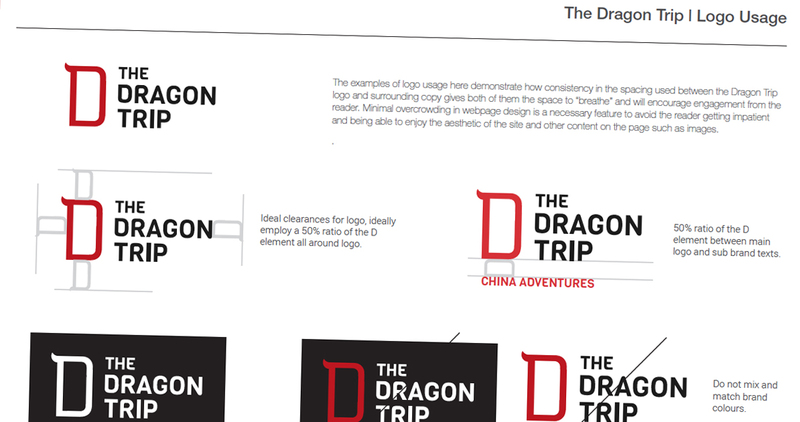 This shared voice formed the Core Brand or brand essence of Dragon Trip – a fresh company-wide DNA that would make the team adopt a whole new way of thinking, all of which was summarised in a brand book provided by us to facilitate consistency across all branded materials. 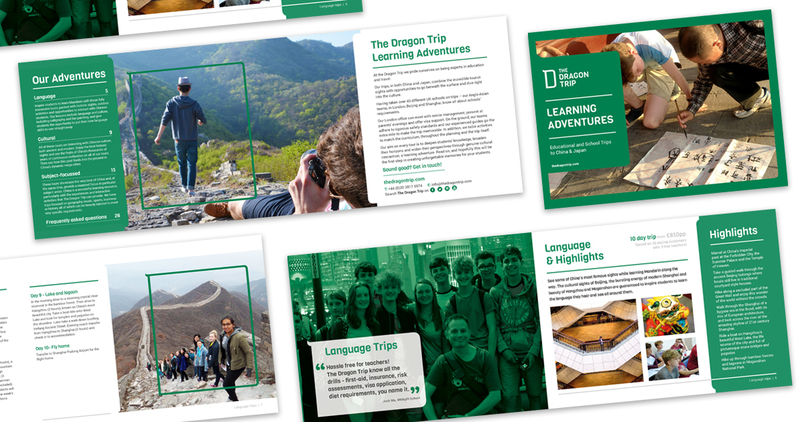 As if that wasn’t enough we also designed and printed the launch brochure for Dragon Trip’s first offline campaign which is centered around the Learning Tours in order boost product awareness as it happens to be the newest branch of the Dragon Trip offering. Carefully planned content and timing were crucial here and the brochures were distributed nationwide at schools and universities and amongst teaching professionals.